Ford Childress excelled in his first start as the West Virginia University quarterback, as the Mountaineers downed the Georgia State Panthers 41-7. Childress completed 25 of 41 passes for 359 yards, 3 touchdowns, and 1 interception. For his efforts, he was named Athlon Sports’ National Freshman of the Week. Overall, head coach Dana Holgorsen was pleased with his quarterback’s play. Childress’ performance appears to have solidified his position as the starting quarterback job. While he put up great numbers against Georgia State, he still has plenty of room for improvement. One area which he will focus on in the coming weeks is offensive tempo. 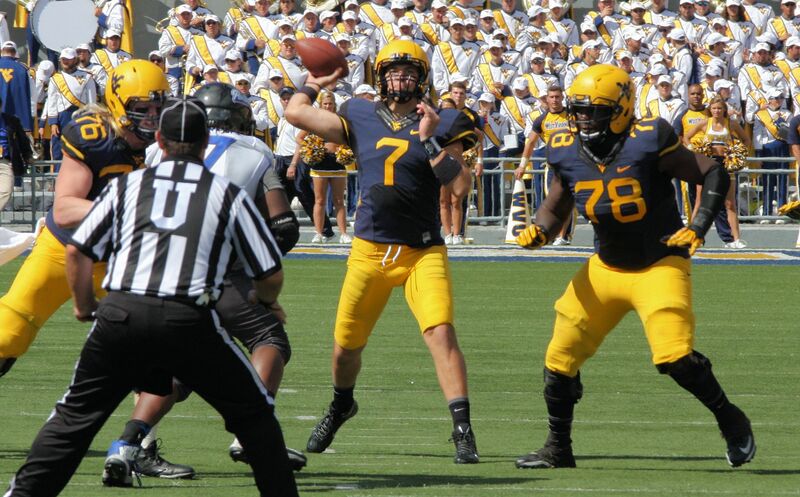 The Mountaineers rattled off 83 offensive plays Saturday, but Holgorsen remains unsatisfied. He expects Childress to move the offense along at a faster pace. West Virginia travels to the Baltimore Ravens’ M&T Bank Stadium to take on the rival Maryland Terrapins this Saturday in the 50th game in the series. While the Mountaineers hold a 26-21-2 overall edge against the Terrapins, including 7 straight victories, this year’s matchup promises to be a tough one. After a rough two seasons under head coach Randy Edsall, the Terrapins appear to be on track this year, bringing a 3-0 record into the game. Their offense is averaging 40 points per gam, and they are led by phenom sophomore receiver Stefon Diggs. The game kicks off at 3:30 and will be televised on ESPNU.